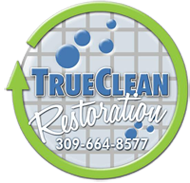 Please check out the services below to find out how we can help you with mold removal, microbial remediation, restoration from fire, water, or mold damage, drying, sewage remediation, carpet cleaning, and much more. We specialize in restoration of homes from damaged caused by flooding, smoke damage, and more. Click to read more. We provide top rate drying services in order to prevent property damage. Click to read more. We will not only help remove dirt and dust you see, but that which you don’t see. Click to read more. Our professional staff is trained to deal with these contaminating substances and to make sure that your home is cleaned, disinfected, and deodorized to prevent future unpleasantness. Click to read more. We offer many water services. We’re very knowledgeable about groundwater conditions which may occur outside of your crawl space or basement. Click to read more. We are committed to restoring homes from fire damage, whether major structural fires, or minor electrical fires. Click to read more. We are now offering duct cleaning as one of the many services we provide. Duct cleaning is crucial to having good indoor air quality. True Clean was absolutely amazing! Even the State Farm Claims Rep ranted about the work that was done.